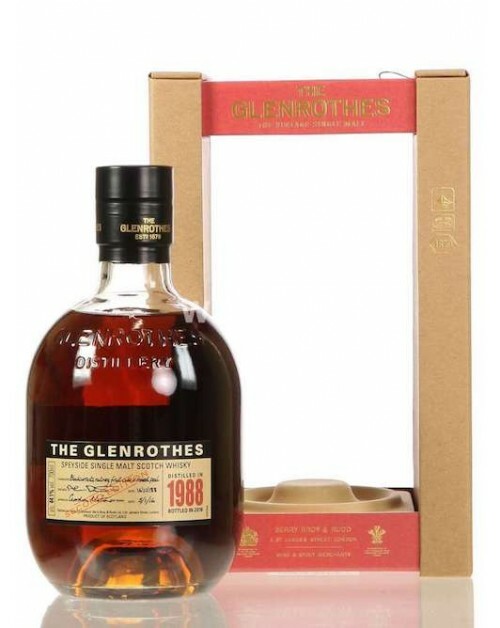 This second edition of Glenrothes 1988 Single Malt Whisky was bottled in 2016. The Glenrothes Distillery Master Maltman, John Ramsey, left some of the original 1988 whisky to mature further; this is that whisky. Nose: Chocolate and milky coffee. Palate: Honey, vanilla and Sherry on the palate. Finish: Long finish with cinnamon and spice.